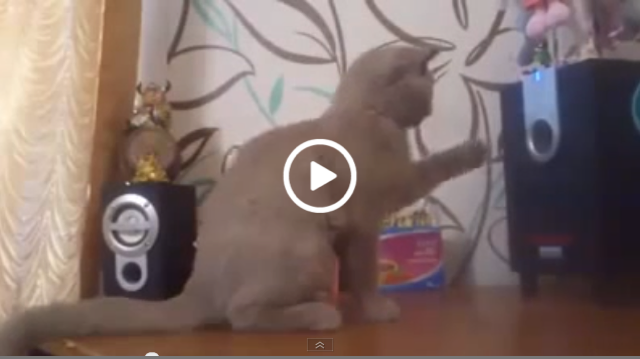 Watch This Crazy Cat Reacting To Dubstep. This one is for all you EDM fans out there. This cat is just like you in the sense that it is amazed by loud bass. They say that cats are always on ecstasy and this proves it. Every time the bass hits the cat tries to grab it. It’s almost as if he can see the sound vibrating all around him. Yeah this cat must be of some stuff. The cat’s dance moves are pretty sweet though. He looks like he is doing liquid or something.